If you’re using Office 365, you get at least 1 TB of space in the cloud, depending on your plan. If your OneDrive for Business library is hosted on a SharePoint server in your organization, your organization’s administrators determine how much storage space is available. All files that you store in OneDrive for Business are private unless you decide to share them. You can share files and folders with co-workers so you can collaborate on projects. If you’re signed-in to Office 365, you may even be able to share with partners outside of your organization, depending on what your company allows. Sign in to Office 365 or your SharePoint site with your work or school account. OneDrive for Business is part of your organization’s subscription to SharePoint Online in Office 365 or through an on-premises installation of SharePoint Server. To sync OneDrive for Business with your local computer, you'll need the OneDrive for Business sync app which lets you Sync files to your PC or Mac. This sync app is available with Office 2013, Office 2016, or with Office 365 subscriptions that include Office 2016 applications. 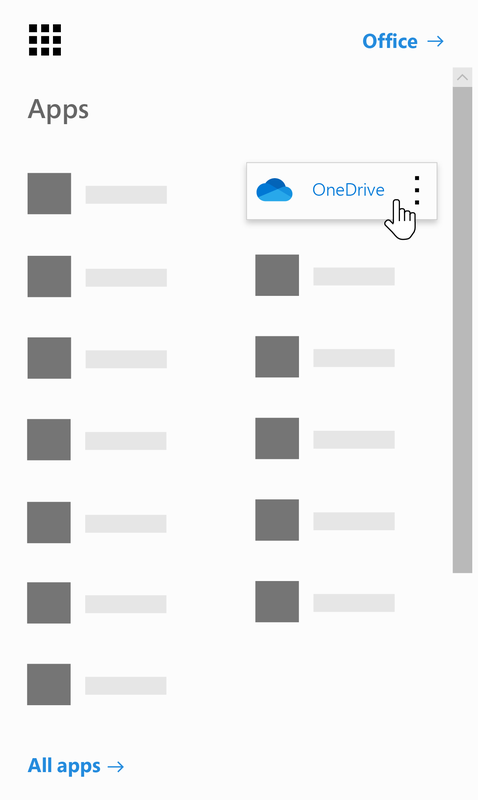 If you don’t have Office, a free download of the OneDrive sync app is also available. It's all OneDrive, which means you use the same apps to sync files down to your Windows PC or Mac, or get to your files from your Android or iOS device. You just sign in with your work or school account to use OneDrive for Business, or sign in with your Microsoft account to use OneDrive personal. OneDrive is online personal storage that you get when you set up a Microsoft account to use services such as Outlook.com or Xbox. Use OneDrive to save documents, photos, and other files in the cloud, share them with friends, and even collaborate on content. When you subscribe to Office 365, you get 1 TB of storage and premium OneDrive features. OneDrive for Business is online storage for work or school. Your OneDrive for Business is managed by your organization and lets you share and collaborate on work documents with co-workers. Site collection administrators in your organization control what you can do in the your OneDrive library. Sync both versions of OneDrive to your local computer. See Sync files with the OneDrive sync client in Windows for more info.